This scenario was played out using the Colonial Skirmish rules on this site - click here. All of the small pictures can be clicked to see a larger version. While recuperating in Cairo, Meg and Cynthia were abducted by unknown Europeans who also stole the treasures that he had only recently brought down the Nile. The police suspected the Germans or Russians were behind the abduction although Binky detected the hand of the evil Ruritanians in this. Perhaps this was their way of getting back at him for recovering the Book. Police reports indicated that they were bound down the Red Sea. Fortunately, a Royal Navy expedition was being mounted against the notorious pirate den of Zomm el Ohle and our intrepid heroes were able to take passage with this force. As they sailed along the coast they were able to confirm from informants and agents, the passage of the “Germans” ahead of them. The pirate leader Mustapha Ginnis, a red-bearded Irishman converted to Islam, intercepted their steamer and took all of the Europeans hostage. The Navy plan was for a dawn assault by Marines and Blue Jackets supported by the guns of the cruiser. Binky managed to persuade the commodore that he should be allowed a pre-dawn raid to rescue the hostages. After a long discussion the Navy agreed and gave him command of a small force of Blue Jackets led by Lt Robin Bankier and Midshipman Willie Puke. Binky’s plan was to search out the two most likely places for keeping the hostages and also to hold the boom open. He decided that Gerald and he would search for the hostages while Adrian secured the exit and destroyed the boom for the dawn attack. The time of the attack was set for midnight. 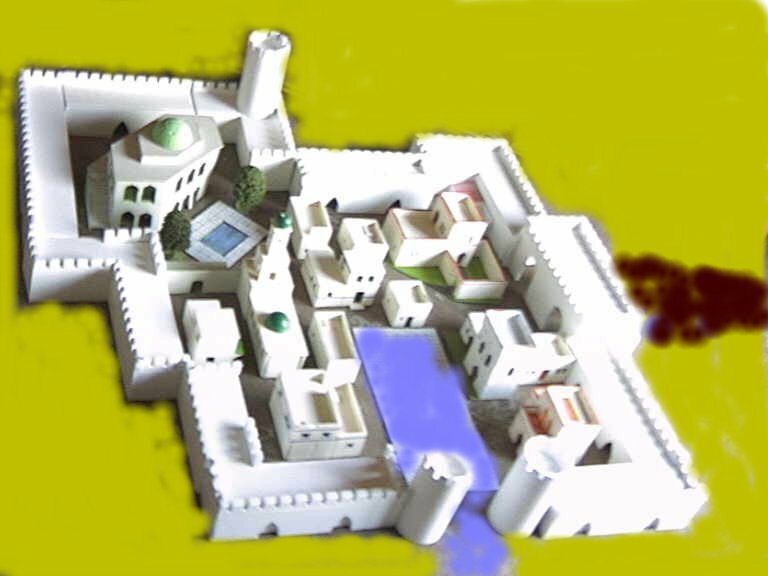 To see a picture of the walled town click on the thumbnail below.